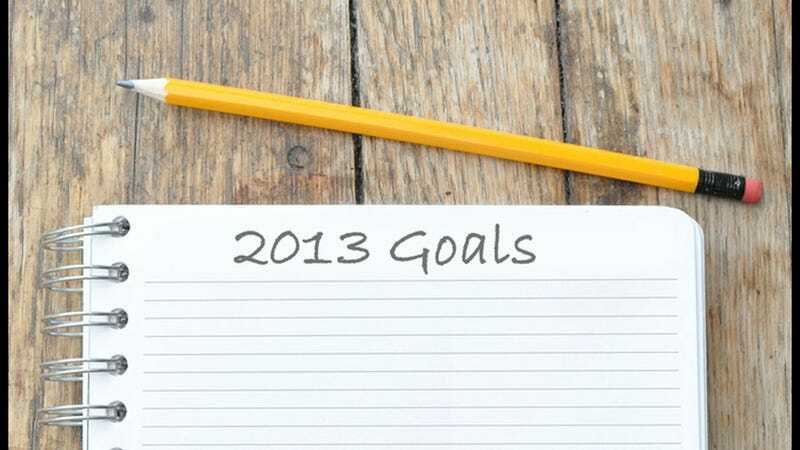 It's Time to Be a Better Person: What Are Your New Year's Resolutions? As 2012 comes to an end, and we're all still standing (high five! ), we must look forward to the emotional/financial/spiritual riches of 2013, a time so far away the Mayans couldn't even dream of it. We're in the future now, friends, and so we must excel and Be the Best We Can Be in Twenty ThirTee. Let us have your most aspirational, your most embarrassing, your goofiest, and your laziest New Year's Resolutions. This is a judgment-free zone! We will hold one another and cry promises of eating more quinoa and attempting Zumba into each other's hair. Image via Pixelbliss / Shutterstock.